Two years after the successful release of the 1 oz. 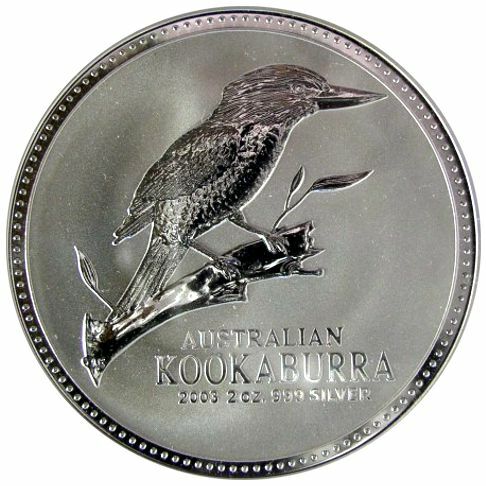 Australian Silver Kookaburra bullion coin, the Perth Mint, in 1992, added three more bullion coins to the series. 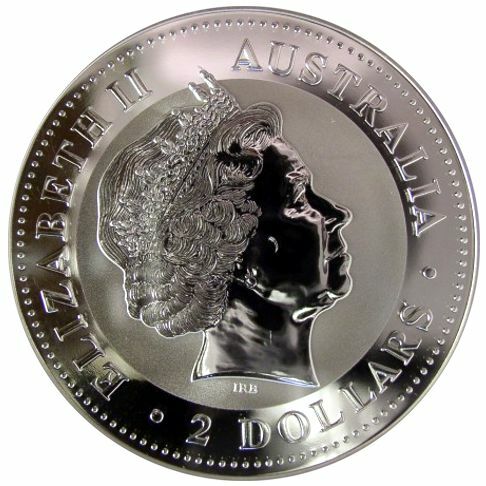 The Perth Mint added the 2 oz., 10 oz. and the 1 Kilo. silver bullion coins to the popular Kookaburra series. This side of the 2 oz. Australian Silver Kookaburra bullion coin displays the effigy of her Majesty Queen Elizabeth II, designed by Ian Rank-Broadley. Her name, "ELIZABETH II," is displayed encircling her effigy. "AUSTRALIA" and the face value of "2 DOLLARS" also encircles the Queen's effigy. The reverse side of the Silver Kookaburra bullion coin unveils a new design of the Kookaburra each year. Pictured above is the 2003, 2 oz. 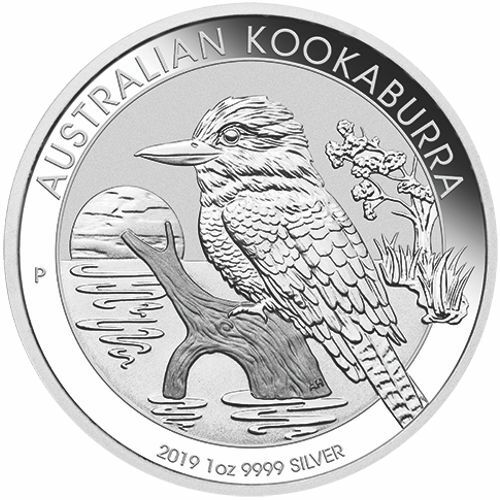 Silver Kookaburra bullion coin, this year's reverse coin design was different from most years. 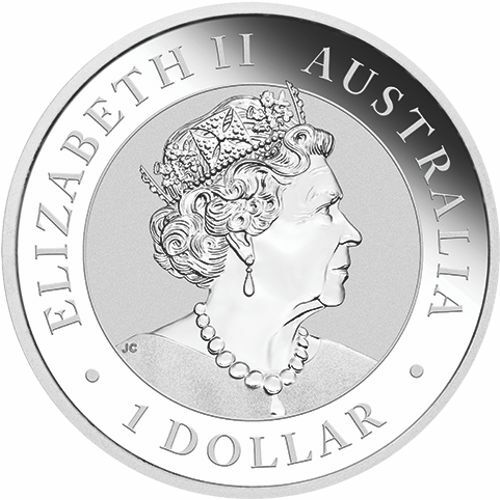 In the 2003 version, the name of the coin was inscribed below the Silver Kookaburra design. Inscribed below the coin's name is it's " Year of Issue," Weight of "2oz" and the purity of the coin "999 SILVER." The bullion coin's edge is Reeded. Note: From 1990 - 2007 the Silver Kookaburra bullion coin did not have a Mint Mark. Since 2008, the silver bullion coin has had the "P" Mint Mark representing the Perth Mint.